The second in an (very) occasional series of why, IMHO, running rules. 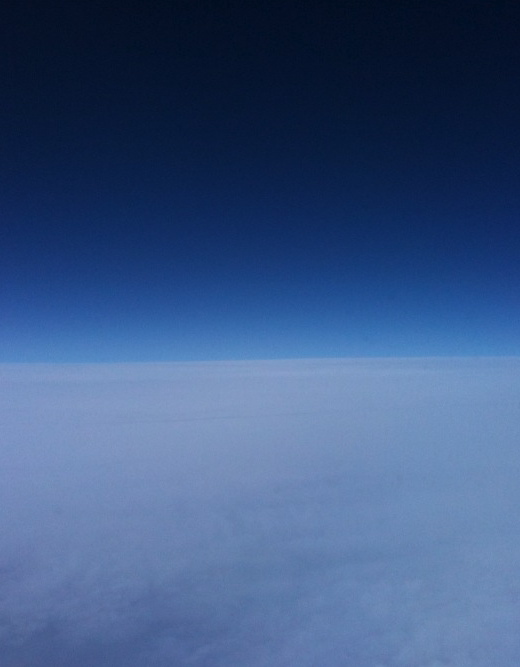 I started writing this post the other day, at 35,000ft, somewhere over S. Dakota, thinking how nice it was to enjoy a few hours of being unplugged and off the grid, with the rare luxury of having the time and space to lose myself in my own thoughts. No email, no line at the office door, no honeydo list. Just a nice lady occasionally popping by to offer me another cup of coffee. Don’t get me wrong, I have more to-do’s than there are names on a Royal Wedding guest list, but once in a while I find it a treat to just stop, look out of the window and either focus on something specific, dream a little, or frankly think about nothing at all. I see this opportunity for a little mental elbow room as a fringe benefit of business travel. So here’s the thing – not everyone gets to travel, and let’s be clear, there are significant downsides from having to drag your arse around the country or the globe in the pursuit of commercial progress. This is why running (free of flight delays, lines at security, jet lag and lost luggage) is such a fantastic weight loss activity for the mind. Hitting the road three, four, five times a week, with only my music, or the noise of the neighborhood to keep me company is just the best mental exercise I can get. Whilst I haven’t been able to figure out world peace, I can say that it’s extremely rare for an issue or problem that I’m dealing with to feel as big or as severe at the end of a run as it did at the beginning. If it does – then it’s probably a sign that I have some business to take care of. On the flip side, it can be equally nice to just think of nothing whatsoever. I just run, tune out and put up the space for rent sign in my mind, enjoying seeing things on foot that I never get to see when I’m speeding by in my car. Everything else can wait, and I guarantee better dealt with for the break. I think most of us would agree that getting the same ‘space’ at home or work is difficult (perhaps impossible is a better word). We’re usually only arms length away from any number of perfectly reasonable distractions, but when you’re running, you’re running and that is pretty much it. No doubt someone with too much time on their hands will develop thought to text technology and you’ll be able to think your emails out the door, but until then, I’ll keep enjoying keeping my mind in shape with the me time out on the road. You should try it too – you might even like it. Not convinced? See if my first post in this series changes your mind. Previous Post Previous post: A chip off the old block? You just saved me the time that it would take me to write very similar thoughts in my blog. Wow, what a coincidence having bumped into your post! Just to give you an idea of what I’m talking about: I’m taking a long business trip flight this Saturday and the feelings about travelling/running/finding time with no distractions or to do nothing/etc. are essentially the same. Cheers for the comment. Honestly, I think I would go crazy without the space I get from running. Last week through pressure of work I didn’t get to run at all, and lets just say I was a bear with a sore head. Travel is the same – I get some of my best ideas day-dreaming on a flight. Safe travels and happy running!